I’ve always been interested in real estate, starting in college when I worked with my mom, a real estate agent, through today, as the CEO and co-founder of Compass, a New York City-based technology-powered real estate brokerage platform. While Compass’ expansion has been exhilarating — we’re in 22 cities now and have plans to be in the 50 largest cities in the world — my personal journey has been longer and winding. Starting as far back as high school in San Francisco I realized I needed help to grow: as a teenager, I wasn't particularly focused on my future and didn’t see entrepreneurship as a possibility. Thankfully, I discovered several organizations geared towards kids like me — among them, Summer Search, a youth development nonprofit providing year-round mentoring and summer trips. It would be an understatement to say that the professional mentor I was matched with challenged my worldview. For example, as a “Summer Searcher,” I participated in a National Outdoor Leadership School (NOLS) backpacking excursion in Wyoming. I was dropped in the middle of open wilderness and taught to find my way back to camp. This experience instilled an entrepreneurial spirit in me by literally and figuratively forcing me to navigate my own path to success in a new environment. Since then, I haven’t looked back. As CEO of Compass, I’ve brought what I learned at Summer Search to my employees, including mentorship and experiential learning that helps them grow. For example, we’ve developed a CEO speaker series to help employees and agents gain perspective from leaders across industries. We also volunteer as a company with Habitat for Humanity, an organization that promotes community and the dream of home ownership. Be a good mentee. 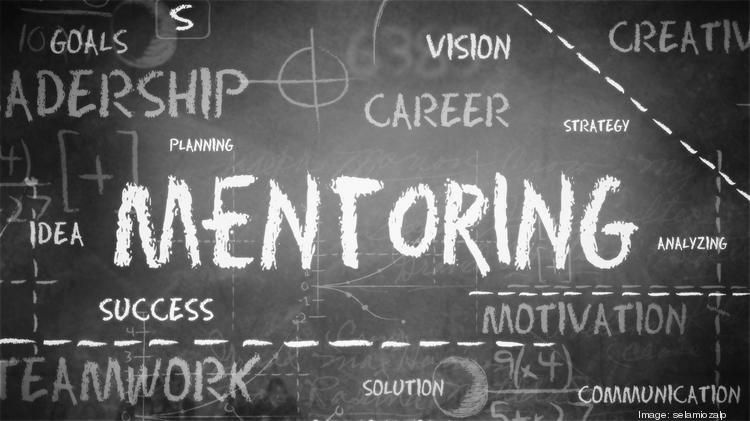 Through the hard conversations I had with my mentors, I was constantly pushed to be a better mentee. It’s important to dedicate time and effort to your mentoring experience. Whether it was my mentor keeping me accountable for scheduled meetings, or a Summer Search board member helping me interview for a career-launching internship, mentors have supported me through many phases of my life, all the way to Compass. Be a good mentor, too. Be direct and honest (but kind) to your mentees. Keep them accountable and help them build their own future. Leaders not only help their teams define a vision of where to go but also the path to get there. Foster a shared vision. Everyone on your team should understand your company’s goals; rely on your team to have hard conversations, challenge you, and make your organization more impactful by bringing team input and collaboration to each and every meeting. Hire smart(er). You’ve heard this before, because it’s true: You want people smarter than you on your team. Build a team that makes you replaceable. Compass combines experienced real estate agents, with best-in-class technology, business and marketing leaders: a formula that allows Compass to foster peer mentorship and cross-divisional expertise from within. Our employees often say they were drawn to Compass because we expose them to the opportunity to learn new skill sets, while sharing their own. Hire “glass half-full” people. When starting a new company, daily challenges are inevitable. Glass half-empty people tend to see changes as a negative. Glass half-full people see changes as a positive, an opportunity to solve a problem. Hiring positive, solutions-oriented people make it more likely you’ll realize your company’s potential. Finally, there’s one last tip that I still carry from that summer trip to Wyoming: People need ownership. Give them a roadmap, but let them make mistakes. Mentor them. Help them find their own path. Distribute equity to promote personal investment. Good luck in your own journey. Robert Reffkin is a 1997 graduate of Summer Search and Founder & CEO at Compass. Prior to Compass Reffkin worked at Goldman Sachs as chief of staff to the President & COO following five years working in the firm's private equity arm. Prior to Goldman Sachs, he worked at Lazard and McKinsey & Company. In 2005, he was appointed as a White House Fellow to serve as special assistant to the Secretary of the Treasury. Reffkin is also the Founder of America Needs You. He received a B.A. and M.B.A. from Columbia University. Outside of work, he completed 50 marathons, one in each state, to raise $1 million for nonprofits.